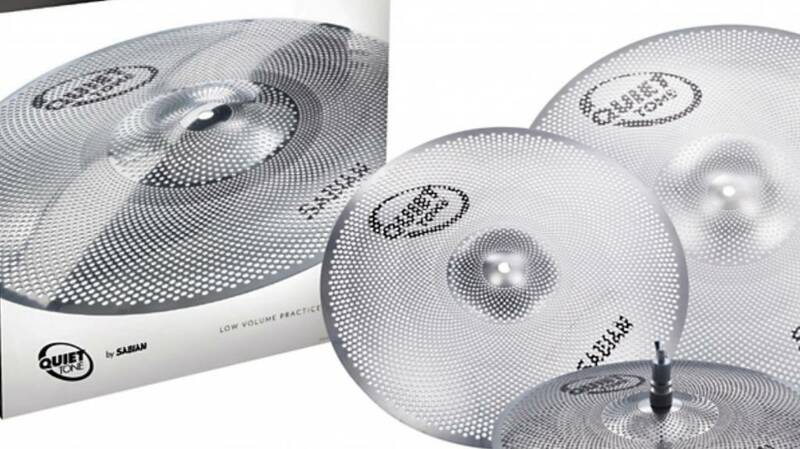 Sabian Quiet Tone 4pc Low Volume Practice Cymbals - 14", 16", 20"
Home / Sabian Quiet Tone 4pc Low Volume Practice Cymbals - 14", 16", 20"
Sabian Sabian Quiet Tone 4pc Low Volume Practice Cymbals - 14", 16", 20"
Created specifically for low volume sessions, Quiet Tone Practice Cymbals Set QTPC503 includes a big Ride cymbal set-up of 14” hi-hats, 16” crash and 20” ride. Created specifically for low volume sessions, Quiet Tone Practice Cymbals Set QTPC503 includes a big Ride cymbal set-up of 14” hi-hats, 16” crash and 20” ride. Each one is designed to respond and sustain like a traditional cymbals—right down to their clearly defined bell—so drummers won’t have to change the way they play. Their true-to-life response and sustain, and clear, natural-sounding bell means drummers won’t have to hit and play harder than they do during performances. This is not the case with other practice cymbals, which can sound muffled or dead, not a good quality in a practice cymbal. As a result, drummers will appreciate their greatly reduced sonic footprint during practice sessions, drum lessons or any time they use Quiet Tone Practice Cymbals. Additionally, Quiet Tone Practice Cymbals are manufactured from a tough, durable alloy that won’t dent or break, making them the best choice in low-volume cymbals.